My name is Arthur Lookyanov, private guide, personal guide and advanced amateur photographer in Moscow, Russia. I work with tourists and business people more than ten years already and have great experience to organize tours and planning sightseeing itineraries in and out of Moscow city. If you are going to visit Moscow, Russia for several days or have short layover in Moscow airport, I can work with you to plan the best possible tour that suits your needs, budget and expectations. All the pictures that I take during sightseeing tours I am very flexible when it comes to my services and I will work with you to plan the best possible tour that suits your needs, budget and expectations I share later with my former clients as a benefit to use my services. You are welcome to my website to read more about me, my services and Moscow city! 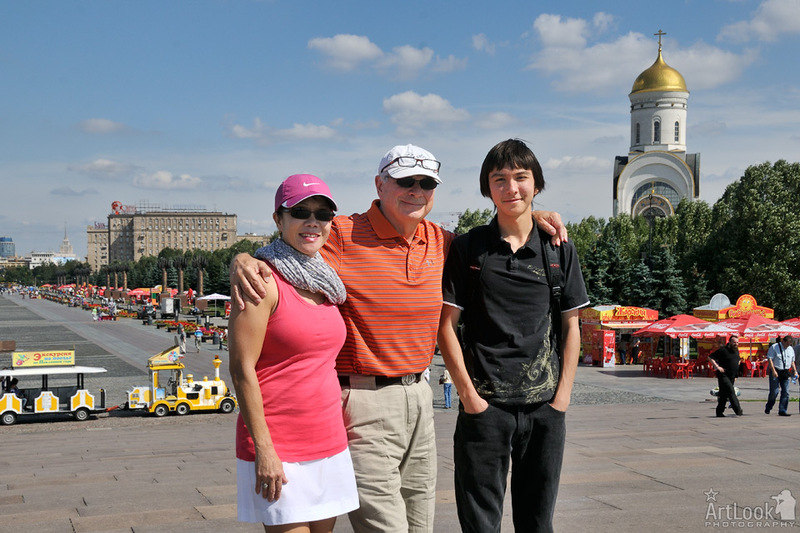 My family and I used Artur as a guide for our five days visit to Moscow. The first thing I have to say is the fact that Artur has been extremely reliable, coming on time and organizing our trip not only what we asked him to do but adding some special area that were very worth it. We investigated several guide company and found that Artur was very reasonable pricewise and did not requested to be paid everything before the trip started. His knowledge of Moscow was very deep and he introduced us to several places and restaurants that we all enjoyed. We also appreciate his art in making photographs as he is a real expert in it and I hope he will use some of the photographs he took of our family in his photo display. If anyone would like to check anything about Artur please e-mail us and we will be ready to tell everyone how good he treated us.